Learning how to make the blue lagoon cocktail is not difficult. This cocktail recipe only has four ingredients. 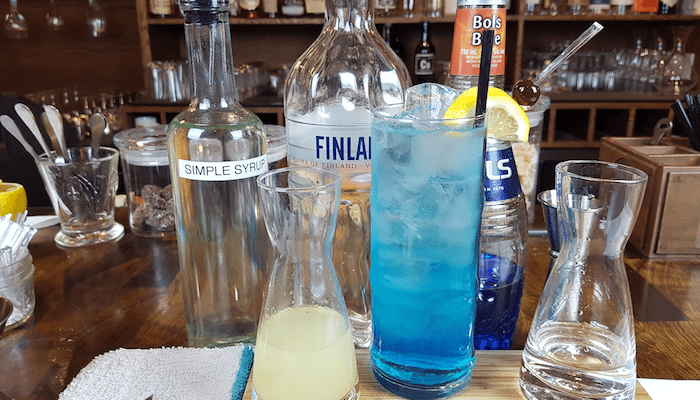 Pretty much anything made with blue curacao – an orange flavored, blue colored liqueur – looks cool because of the intensity of the blue from the blue curacao. Mix up a batch of blue lagoon drinks next time you’re having guests over for a BBQ. 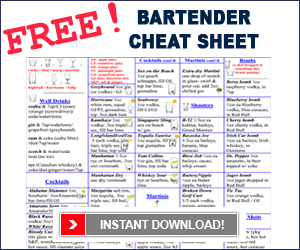 Hey there, Reese Richards from barsandbartending.com. So, today, we’re going to do a cocktail recipe, and the cocktail is the Blue Lagoon. The Blue Lagoon cocktail. So, the Blue Lagoon, uh… pretty simple, straightforward. 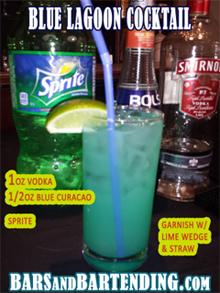 Vodka, blue curacao, lime bar mix/ margarita mix/ sweet and sour mix, and sprite or some soda. Ok, so, fill a glass with ice, our Collins glass… and, uh, we’re going to do 3/4 of an ounce of each…Vodka, and 3/4 of an ounce of the blue curacao. Ok, we’ll fill it up with lime bar mix, and then top it with Sprite, and you garnish with a lime. A nice little straw… and a sliced lime would be good. One that was already sliced, maybe. You know? That would just sit perfectly on the side of the glass. Look at that! Isn’t that beautiful. Ok, there you go. Your Blue Lagoon.